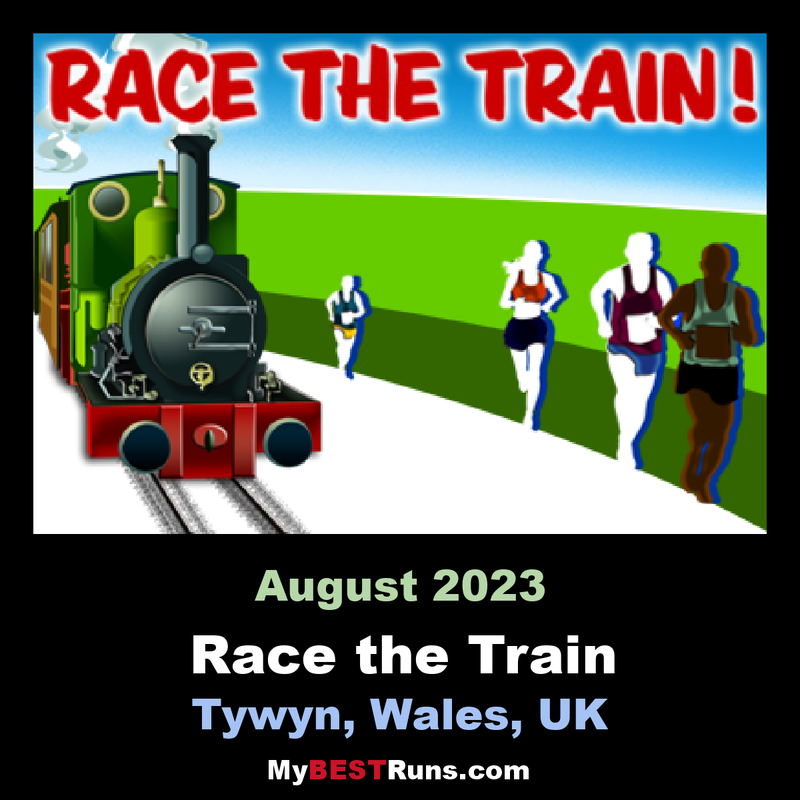 Race the Train is an annual cross country running event that takes place in Tywyn, Mid Wales. The race isorganized by Tywyn Rotary Club, and attracts runners from all over the world. In the main event, runners compete to beat a steam train on the preserved Talyllyn Railway over a distance of 14 miles (23 km). The event has featured both in local and national media, including the BBC'sCountry file program. The event was the idea of local dentist, Godfrey Worsey, and was first run in 1984 with around 48 runners. The following year, this had increased to 250 runners. In 2008, there were 822 runners in the main race; the winner completing the course in just over 1 hour 18 minutes, a course record.